A new patio can totally transform the look of your garden, and make the perfect spot for relaxing on a summer's evening or entertaining guests in your home. The team at Driveways & Patios Ltd have over 25 years experience in the trade, and we pride ourselves on providing our customers with the highest quality workmanship at affordable prices. We ensure that the entire job is completed with nothing but professionalism from start to finish, making the whole process hassle-free, and we guarantee to leave you with a first class patio which will totally transform your property, and really make your home stand out from the crowd. 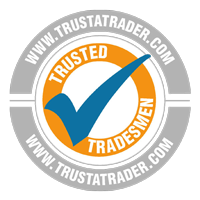 So if you would like to speak to us about a new patio at your property, please call us today on 01227 749872 or fill out the form on this page and a member of our team will get back in touch with you.